Reynolds first foray into middle-grade fiction follows the path of other stellar writers like Christopher Paul Curtis and Rita Williams-Garcia, who have brought their young protagonists home to meet the family. Our narrator is 11-year-old Genie, a worrier from Brooklyn who’s headed, along with his older brother Ernie, to his grandparents’ home in backwoods Virginia. There’s culture shock aplenty (no internet, no TV), plus the more visceral earthquake of learning Grandpop is blind. And the aftershocks keep coming: Grandpop carries gun. Genie’s notebook of questions—a wonderful literary technique—opens wide this thoroughly realistic narrator’s world of concerns and brings readers closer to him. The story’s richness comes in part from its evocative descriptions of place, with every sense invited to the party. Readers don’t just see the dog poop that covers the yard, they feel the weight of it as the brothers shovel it into the woods and can smell it all over the boys. But it is the intricate lacing of relationships that makes this so remarkable. There are second, even third-generations problems being worked out between fathers and sons. A Jim Crow history has had a hand in shaping the issues, but there are also personal trials, hurt, and despair that hinder resolution. Yet through his inquisitive young protagonist, Reynolds movingly shows that while sometimes love hides, it still abides. HIGH-DEMAND BACKSTORY: Reynolds comes off the one-two punch of the award-winners The Boy in the Black Suit and All American Boys as a newly branded kidlit superstar. 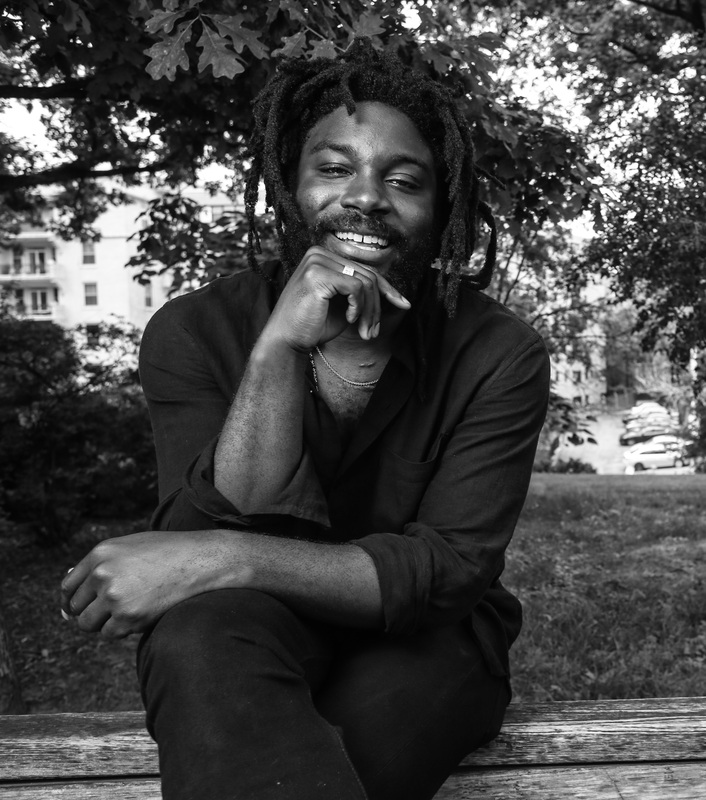 In his terrific middle-grade debut, Jason Reynolds (WhenI Was the Greatest; Boy in the Black Suit; All American Boyswith Brendan Kiely) tells the engaging story of two African American brotherswho spend a month with their grandparents while their parents work on theirstruggling marriage. This worries 11-year-old Genie Harris. Most things do. It doesn't take long for Genie to see how different "the little house allalone on the top of a hill" is from Brooklyn: "No brownstones withthe cement stoops where you could watch the buses, ice cream trucks, and taxisride by. Nope. North Hill, Virginia, was country. Like countrycountry." There's new food, too, like grits, or, as Genie thinks,"movie prison food." And when Genie tells Grandpop wearing sunglassesinside "makes you look crazy," he learns that his grandfather isblind. This discovery worries him, too, especially when he sees a gun in hisGrandpop's back pocket. Genie has hundreds of questions, all of which he writesdown in a numbered list for future Google searches. Unfolding family secrets and upsetting mishaps, major and minor, keep the pagesflying, and how obsessive Genie and his "cool, confident," muscledand girl-crazy older brother, Ernie, settle in with their grandparents makesfor a poignant, profound, often very funny story, told in an easy style assmooth as Grandma's banana pudding. New revelations abound: their uncle's deathin Desert Storm, masked fears, pea-picking, loud thunder, people who eatsquirrels, the ins and outs of Grandpop's mysterious six-shooter, sweet tea andmore. As Brave As You spills over with humor and heart. Discover: Past and present collide in Jason Reynolds's middle-gradedebut about two African American brothers from Brooklyn visiting theirgrandparents in the country. Reynolds (The Boy in the Black Suit, rev. 3/15; with Brendan Kiely, All American Boys, rev. 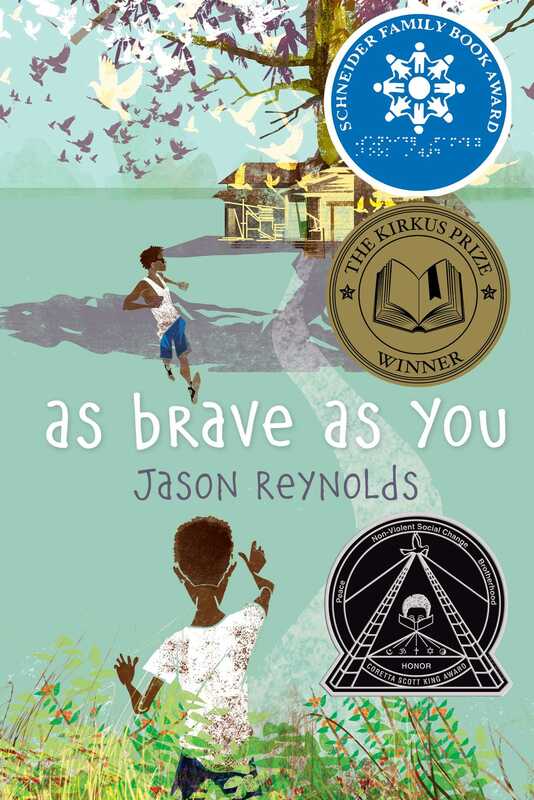 11/15) delivers an emotionally resonant middle-grade story of an African American family working to overcome its tumultuous past in hopes of a better future. Not-quite-teenager Genie Harris has a notebook full of questions, ranging from the superficial (“Why are swallows called swallows? did people used to eat them?”) to the introspective (“Why am I so stupid?”). But there is no question as to why he and his older brother Ernie find themselves far from their Brooklyn home with their Grandma and Grandpop in rural Virginia: their parents are “maybe/possibly/probably divorcing” and are “figuring it out” in Jamaica. Warmly told in the third person, the novel follows Genie through a series of tragicomic blunders (breaking a family heirloom; the inadvertent poisoning of Grandpop’s pet bird); minor triumphs (finding a neighbor with internet access! ); and many heartfelt discussions with Grandpop, who is blind and fiercely independent, that often lead to startling familial revelations (his great-grandfather’s suicide; his uncle Wood’s untimely death during Desert Storm). Long-standing feelings of guilt, anger, and resentment reach a boiling point—and history appears to repeat itself—when Grandpop forces Ernie to shoot a gun, with misfortunate results. Genie musters up enough courage to ask his grandfather if he will ever let go of his tragic history; Grandpop’s response of “maybe” feels like a victory. A novel in the tradition of Curtis’s The Watsons Go to Birmingham—1963 (rev. 3/96), with deft dialogue, Northern/Southern roots, and affecting depth. Reynolds’s engaging middle grade debut stars 11-year-old African American Genie Harris, an inveterate worrywart who considers Google his best friend, and his older brother Ernie, who is well on his way to being a cool dude (sunglasses and all). The born and bred Brooklynites are to spend a month with their grandparents in rural Virginia while their parents take a long overdue vacation and work out their marital problems. It is only after the boys are left in their grandfather’s care that they realize that he is blind. They are also surprised to learn that they are expected to do chores and follow their grandmother’s strict rules—and that it is possible to exist (sort of) without the Internet. While Ernie crushes on the girl who lives at the base of the hill, Genie writes down his many burning questions so he doesn’t forget them and gets to know his proud and fiercely independent grandfather. Genie barrages Grandpop with questions about his past and present abilities and about the quirky aspects of the household, especially his “nunya bidness” room, his harmonica playing, and how Grandpop might not be able to see but still packs a pistol. As the languid days unfold, the boys learn about country life and the devastating loss of the elder Harrises’ son during Desert Storm and their estrangement from their living son, the boys’ father. Grandpop Harris is a complicated, irascible character, full of contradictions and vulnerabilities, the least of which is his lack of vision. Reynolds captures the bond that Grandpop and Genie form in a tender, believable, and entertaining way, delivered through smart and funny prose and sparkling dialogue. VERDICT A richly realized story about life and loss, courage and grace, and what it takes to be a man. Although a tad lengthy, it is easy reading and will be appreciated by a broad audience.